Lynyrd Skynyrd have cancelled the remaining two concerts on their 2015 schedule as guitarist Gary Rossington continues to recover from a heart attack he suffered on October 8. “After further evaluation and continued treatment by his doctors, Gary Rossington is taking the remainder of 2015 off from touring to concentrate on recuperating from his recent heart procedures,” said the band. “Lynyrd Skynyrd will be canceling or rescheduling the remaining two shows in Loveland, Colorado at the Budweiser Events Center on December 4 and Mescalero, NM at the Inn of Mountain Gods Casino on December 5. Full refunds will be provided at point of purchase or thru the box office. Both his daughter and the band have issued statements saying that the guitarist is expected to make a full recovery. 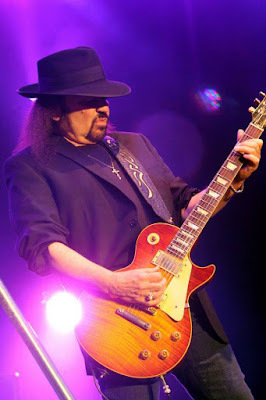 Rossington is the sole remaining founding member of Lynyrd Skynyrd, whose roots trace back to 1964 in Jacksonville, FL. Last month, the group released “Pronounced 'Lĕh-'nérd 'Skin'nérd & Second Helping – Live From Jacksonville At The Florida Theatre” on DVD, Blu-ray and digital formats. The set captures the legendary Southern rock band performing their first two studio albums live in their entirety for the first time before a hometown crowd.